This book is a culmination of that research. After trashing his work 10 times and starting over, he managed to get a revised chronology that seemed to be more accurate than that being put out by the status quo universities. It combines secular / world history with Biblical history in a far more even and smoother match than that proposed by former historians who have attempted the same. This is his version 12, which doesnt try to match different histories based on dates, but rather by matching people and events and then applying revised dates to those events and people. 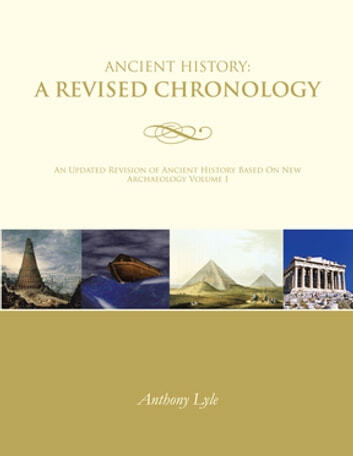 This work will call into question the conclusions of historians of the last 200 years, about the ancient periods of time, and provide an alternative dating for those times. It is a World History in that it incorporates the ancient history of India, China, Japan, as well as the traditional Middle Eastern and European societies of ancient times. 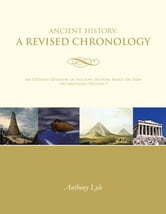 It re-evaluates the beginnings of civilization and the solar system, refuting common historical and scienti?? c beliefs of the modern world. Documents that have previously been written off as Mythology have been re-evaluated as well, as they give a different perspective of ancient times and what happened back then. The use and creation of calendars is an important feature added to this work which is seldom taken into account by modern histories. Incorporated in this work are many of the more recent archaeological ?? nds that have yet to be incorporated in status quo works and institutions. He makes no apology for the fact that this is Biblically based, and the conclusions that have been reached by this work ?? t very well in Biblical contexts and adds some understanding to the events that took place in the Biblical narratives.